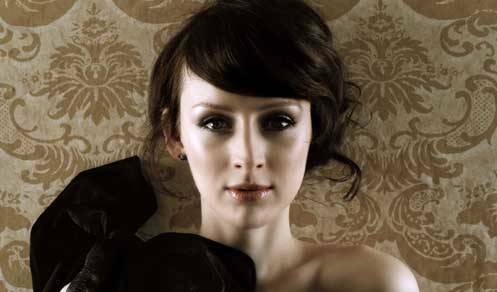 We caught up with Sarah Slean just before the start of her Canadian fall tour for her new double album, Land & Sea. A double record, especially one utilizing a 21-piece orchestra, is an ambitious move for the 34-year-old Pickering, Ontario native, especially since she began the project without label support (and finished it have signed with an indie, Pheromone Recordings). 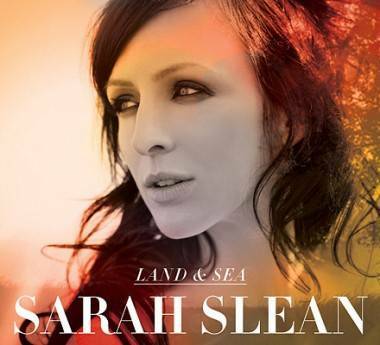 But Slean has never taken the easy path – her career is marked by albums, like 2002’s Night Bugs and 2008’s The Baroness, that show an artist straining at the dictates of genre, marketplace and recording budget. Shawn Conner: So you disappear for a couple of years and you come back with a double album. On so many levels of my life, personally, musically, all kinds of things were just done. I’d been on kind of a tape loop for about eight years, falling into the same traps, and finding myself in the same place again, what with relationships, or with business. It just felt like it was over with The Baroness, I feel like that record was the naked truth about where I had gotten myself to up to that point. It was unadorned truth. As soon as that book was closed, I had an absolutely banner year of experiences. The banner year consisted of leaving Warner, graduating university, getting married [to pop singer Royal Wood], going to Rwanda, Africa. Among other things. It initiated a geyser of music in me. And as I was writing… typically, you write fifteen or twenty songs and twelve of them cluster together and you build your album from there. In this case all the music was dividing into two camps, or families. And there was no combining them whatsoever. They had different lyrical perspectives, they had a different flavour. They were different universes. SC: Was this after the fact or you realized this as you were writing? SS: As I was writing. It got to the point where I’d be going, “That’s a land song,” or “That’s a sea song.” I mean, I had some that were blurry, but they never really found themselves. I just went with the ones that were clearly clustering around these two nuclei. Then the idea was born, land and sea, and I thought that title mirrors the lyrical point of view in each of these albums. There’s another layer of meaning here, so that’s great. I didn’t even think about releasing them at different times. By their contrast, they give each other meaning. SS: That’s right! I just couldn’t separate them. SS: Are you kidding, “were there any problems?” How about the emptying of my bank account! Oh yeah, there were lots of crisis moments. I didn’t actually sign on to Pheromone Recordings until very recently, just before the recording was finished. I was just ploughing along on my own, just trusting on the energy when an idea is born, you can feel it – I call it “the whoosh”. When you stumble on something that feels so good, and an ember inside of you starts to glow, then you are on the right track and wild horses couldn’t keep you from it. You couldn’t keep you from it. So many times in my life I’ve said “I’ve had it with music, I quit, it’s too uncertain.” And every time I thought I was going to determine my future and start over I would be guided back onto the path. So there’s something in you that knows when it’s right. You can’t even get in your own way. And so as the record was underway, I just kept going and didn’t look up. And this label came along, the right people came along. It wasn’t like I had everything figured out before I went into the studio. A lot of these things I didn’t know what I was going to do, I had to trust things would fall into place. SC: Where do you fit into the whole firmament of Canadian music d’ya think? SS: I don’t, and I’m at peace with that. It’s been a long time coming but I think that it’s a good thing not to fit. If you look at human history, and I’m not putting myself at all in any of these categories, all the people who have done really interesting things, be it in art or science or politics or whatever, have always been outsiders. And it’s okay, it’s fine. I feel like the music-listening public in Canada is a lot smarter than the major labels give it credit for, and there’s a huge appetite for innovation and genre-bending. You’ve got to let your freak flag fly. SC: Weren’t you on Cover Me Canada recently? It doesn’t get any more mainstream than that. SS: Exactly. And that’s the thing. I love pop music, and I always have. That’s why I made Land. I can’t just go make a Sea record and be content with living in obscurity the rest of my life. I love playing pop music onstage, I love the traditional rock band. And I love a tight pop song with hooks, and it’s part of me I don’t think will ever go away. On Night Bugs I tried to take my pop sensibility and sort of twist it with the outside things that I love, like cabaret and classical. That’s what I love about this project – I feel like I gave them [the songs] some air. I let there be space around the classical ones, and space and air around Land so there didn’t have to be string sections in the songs. SC: On your website you mention the new Fleet Foxes album. What else have you been listening to? SS: A recent find of mine, who’s become an absolute fave – and here’s an example of being really pop, really mainstream, but putting your own twist on it – that’s the category I’d like Land to live in – Sia. I loved her last two records, absolutely loved them. Amazing performer, great voice. SC: Your tour starts soon. Who’s in your band? SS: I’m a little hoarse today, because I just sang with them for six hours. Lyle, Paul and Derek. God, it was fun. It was the first time I played this music with a band, aside from the recording. SC: And because you’ll be with a band, will you be doing more Land songs than Sea songs? SS: Yes, and also because the 21-piece orchestra doesn’t fit on the tour bus. This entry was posted in Homepage Features, interviews and tagged interviews, Music, Sarah Slean. Bookmark the permalink.